Genealogy is an inconsistent science and growing a family tree quickly becomes an obsessive work of semi-fictional detective work. The urge to push further and further backward heading into our peasant laden past, hankering after the occasional sight of a king or queen, some lord or scholar as the tree fans out, trying to find some real fixture in the firmament of the past. First the obvious two, the parents, four grandparents, then eight, sixteen, thirty-two, sixty-four. gradually filling like a chess board covered in grains of wheat becoming increasingly disconnected. The turf is forced back over all of them revealing the bones and hollows. I’ve thrilled for my son’s sake, the Norman and Viking past of my wife’s line, bearded men (and maybe women) from Scandinavia via Normandy, Norway where it seems everyone was a king, Glumra the Noisy, Ivar the boneless. In my family, I’ve settled into the weary furrows of hundreds of years of toiling agricultural labour, followed the routed growth of the railways as my ancestors laid the tracks, spotted a Norman or two in the fog of the past. I did a Matriarchal lineage test, rubbed a sterile cotton swab in the ancestral depths of the DNA in my mouth, packaged and sent away; The Middle East, we came from Iran 20,000 years ago. The links become more tenuous the further you push and suddenly in the ancestor worshipping reverie you will see the irrelevance of it, we are all in fact cousins deep down, just drifting, recombining. A couple of years ago, I started to search closer to home. I was looking for more relatable stories, ones where I could stand in a landscape and look at, see something that they might have seen. My family is spread by age, the generations are elongated for me by my own late arrival, parents in their fifties mean I have to cast further out to hit the waters where their may be something worth catching from the past. My grandparents were dead before I arrived. 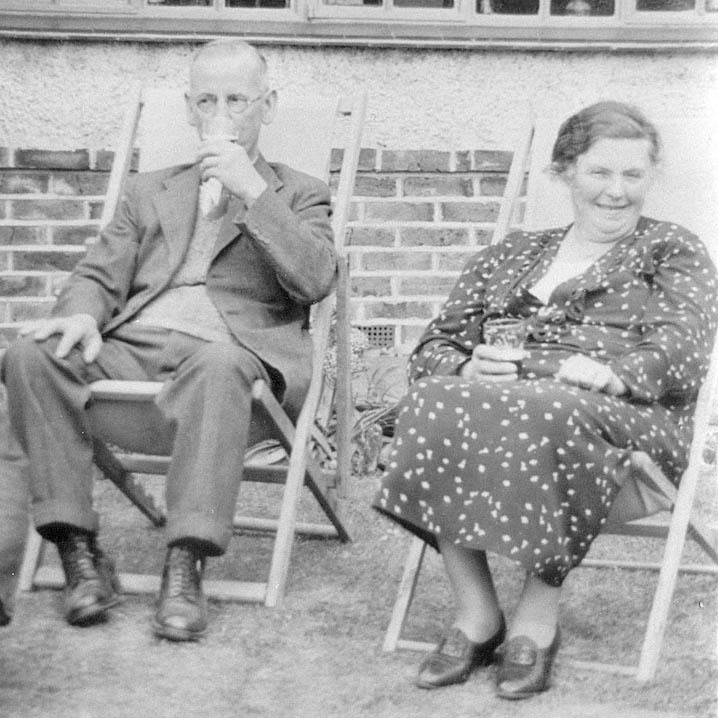 I hardly knew aunts and uncles, phone calls in the 1970s would take my mum and dad to London to bury another relative I’d never met, someone I only knew from a curled photo in an old Black Magic box or biscuit tin in a drawer. It heralded a weekend at my older brother’s house with my nieces and nephews who are the same age. Somewhere in Leyton another Stone would be dropped into a hole in the ground. I know some of their stories, I met some of them, my uncle Richard the youngest Petty Officer in the war, twice married, he lived in Woodford Green, reminded me of George Cole, the voice and hair and posture as he stood in the garden with his older brother looking at the rose bed not long before he died. My Aunt Grace and her older sister Bet still living in the same house the whole family had lived in in Leytonstone after they were bombed out of another. Her hidden world, the loves and her life beyond us, secrets still surfacing through the body language in photos from an age where only friendship was acceptable. I have letters from her, every birthday and Christmas until she too followed her siblings back into the earth. I remember her, a thin good-looking woman, dark unruly hair piled high, meticulous dark lipstick. And the house; the smell of cooked mince, cabbage and gas, the glass cabinet, a dresser and ornaments collected over a lifetime. The fading floral wallpaper and the the dark recess of the small kitchen framing a tidy little garden with a pergola built of scrap wood. There was a raised train track opposite the front of the house, clear as night, level with the bedroom window, the tick-tack of the engined wheels on the line commuting the six year old inside me to sleep. The house still appears in dreams. I remember some, I never knew Albert, my grandfather or his siblings. There were nine in total. Some even Grace would not have known. She was born after the Great War had sent out its first ripples across Europe after even the lines had frozen static in the dirt across France and Flanders in 1917. She never knew Herbert, her father’s younger brother either He was one of three of the seven boys who were within the age range to enlist. Fred was already in the Navy when war broke out, Alf enlisted in the RAMC. I can’t find Frank. James, Sam, and Bert, my grandfather were too old. Because of the way we recorded information, I don’t know anything about Caroline or Mary the two sisters. They could have been polishing shells or collecting rags, turning cordite yellow or chambermaids for all I know. There are too few clues. I don’t know much about any of them apart from my grandfather who worked as a toolmaker in some workshop now buried under a Tesco in The East End, he liked a beer, he was shorter than me, a dapper little man I never met, he died before I arrived. The real discoveries always lies with the dead. We record them as they go or after they have gone, marking the exit. Now we can discover them by scrolling through the records, digitised into low effort big return pixels. It was on a screen I first met the uncle of my tall, thin and elegant Aunt Grace, a man who would have known my dad as a toddler. Schroedinger’s great-uncle, a man I didn’t know existed until he did suddenly at eleven o’clock one night on a laptop screen. He grew up in Shoreditch with his brothers and sisters. His father a bookbinder died when he was five, they moved around the poor tenements of the East End and settled again in Hackney. The children became tie-makers, bookbinders and boot-makers supporting the family from the base upward. Herbert got a job working in an ironmongers. In 1906 in Hackney a young man and a woman got married a clerk from the East End and a schoolteacher from Stamford Hill, Katie Miriam Roberts became Katie Miriam Stone. They settled in Clapton in a little terrace on a corner, lived, loved and did all the normal things we do. They had one child as far as I can tell. His name was Richard, he was probably conceived out of wedlock, if the records are correct born three months after they married. Life continues and circles back. The little flat above a shop is still there, one of my daughters lived within five minutes of it for a year when she studied in the East End. She moved on back into Hackney crossing paths with our genetic record, They moved too, to Leyton and then back again. Then the war broke out. Herbert did what lots of young men were supposed to, and urged to do, he did his duty. The reason will remain as much of a mystery as the scene when he told Katie. For queen and country, because it was the right thing to do, the adventure. Guess, assume but never know. He signed on the line and joined the 9th London Regiment, The Queen Victoria Rifles. He lasted well, survived Hill 60 in 1915, lasted through France until 1917. I visited him. He’s buried at Bavincourt; a small commune to the North of the Somme battlefield, it is in dead space. There is surprisingly little detail on the place. It seems to have been a rest area to the rear, somewhere for baths, football, food and drilling. Somewhere men passed through to get to somewhere else as I am doing, only Herbert and a few others stayed here with the community they never really knew. Bavincourt lies just off the main road between Arras and Abbeville, just far enough off the track for me to circle in the car for a quarter an hour trying to locate the spot. It’s outside the village beside a slip road, a pull in parking spot and a walk down a path past some pollarded trees. A metal gate, beech hedging and a fence before the countryside lays out and rolls away over the faint rumble of the N25. A little pool of stone, weeds, gravel and memory. A family are here; a woman a few years older than me and her mother carrying flowers. They watched me pull up in the car as they walked along the path. There is curiosity in the smile and nod, a question hanging in the muttered ‘good day’. They head towards the high French graves, a forest of tombs and crosses in the catholic style, only glancing back as I stop at the white graves in the sea of gravel and dandelion dotted grass. The younger woman says something about Angleterre and la guerre and the older woman looks over at me, again a faint smile. I wish my French was better, I could explain how stupid this suddenly seems. ‘cet homme, il est mon grand-oncle, je tiens à le connaître, à comprendre moi-même’. How detached we are, and yet how close it all seems. I don’t even know what he looked like, there is no soft yellowing vignette of this man or his wife or family. I imagine him a little like my grandfather, yet he is partially obscured, behind the lines, out-of-sight. Just the words chosen by Kate, ‘At rest’ carved on this stone. There are five of them in the town cemetery, he lies just inside the gate, the weathered Portland Stone slowly shedding its skin, his name vanishing as fast as the memory has dissipated. There are two blocks of graves, one of two and one of three. All given in perpetuity to the Commonwealth War Graves Commission. He lies between the natives with Baker, Dashwood, and Walsh. They all managed to just miss the Somme by dying too soon for the slaughter. 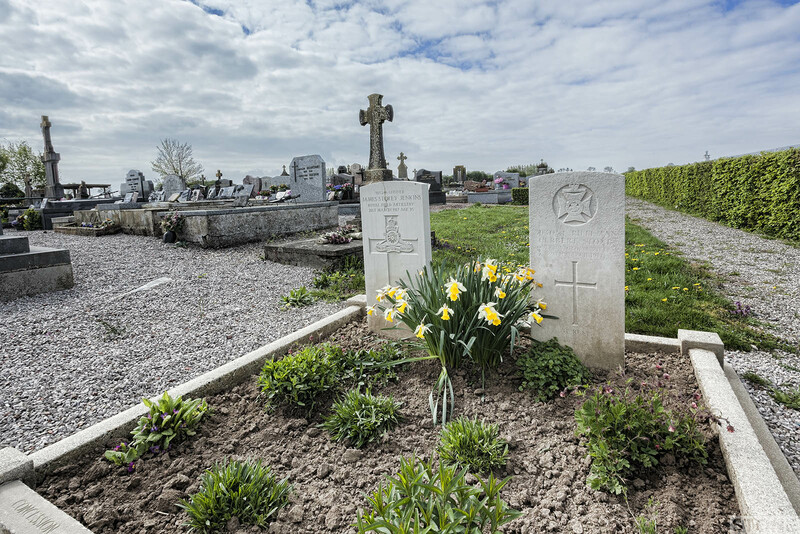 Beside him lies Gunner James Storey Jenkins ‘A loving son, a dear brother, a hero’, it says. He was a Tottenham man, originally from Stamford Hill like Kate. Jim beat Herbert into the ground by a week they were both covered by the end of March ’17. They would have breathed their last somewhere near here, near Bavincourt but I can’t tell where or when exactly. Herbert died of wounds, an amorphous, unidentifiable way to go from where I’m standing at his feet. A shell splinter, sniper, stray bullet, shrapnel, a cough turned pneumonic, septicemia from a cut, blown to bits or kicked by a horse. There would have been sanitised letter an officer had to write to where I’m going next, taking Herbert home. 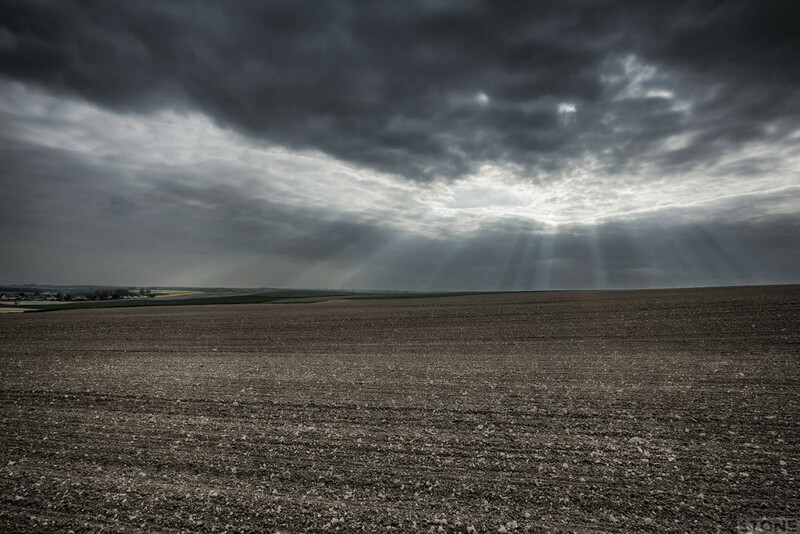 Top photo: looking across the Somme battlefield towards Albert from Mash Valley. 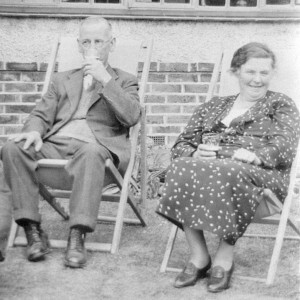 Inset: My Granddad Albert Stone, Herbert’s older brother) and Nan Florence Stone (Née Giggins), on holiday in Clacton, 1940s. Bottom: Herbert’s grave in Bavincourt next to James Storey Jenkins. Gunner Charles John Joseph Baker. Service No: 66590. Date of Death:29/05/1916. Age:24. Regiment/Service:Royal Garrison Artillery 102nd Siege Bty.Grave Reference: 5. 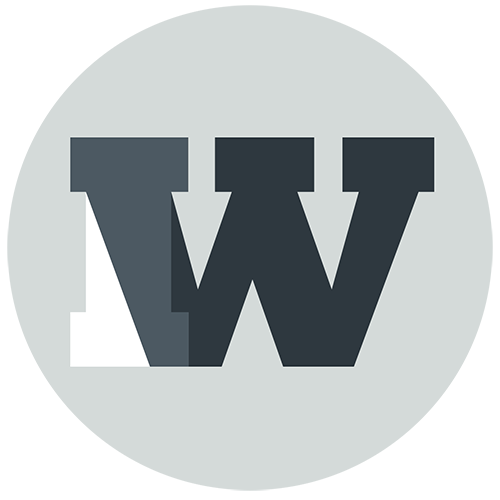 Additional Information: Son of Charles John and Kate Baker, of Holly Cottages, Hatchet Lane, Wirfield, Windsor. Lance Corporal Dashwood, H W. Service No: 20792. Date of Death: 16/05/1916. Regiment/Service: Leicestershire Regiment, 9th Bn. Rifleman Herbert Stone. Service number: 393054. Date of Death:29/03/1917 Age:33 Regiment/Service:London Regiment (Queen Victoria’s Rifles) 9th Bn. Additional Information:Husband of K. M. Stone, of 106, Northwold Rd., Upper Clapton, London. Gunner James Storey Jenkins. Service No: 925246. Date of Death: 21/03/1917. Age: 25 Regiment/Service: Royal Field Artillery “A” Bty. 280th Bde. Additional Information: Son of Francis Samuel and Caroline Amelia Jenkins, of 18, Craven Park Rd., South Tottenham, London. Native of Stamford Hill, London. Bombardier E Walsh. Service No: 17078. Date of Death: 19/05/1916. Regiment/Service: Royal Field Artillery “D” Bty. 125th Bde. Sources: The National Archive, Commonwealth War Graves Commission.